Violets have 5 petals, while blue-eyed Mary has 4. 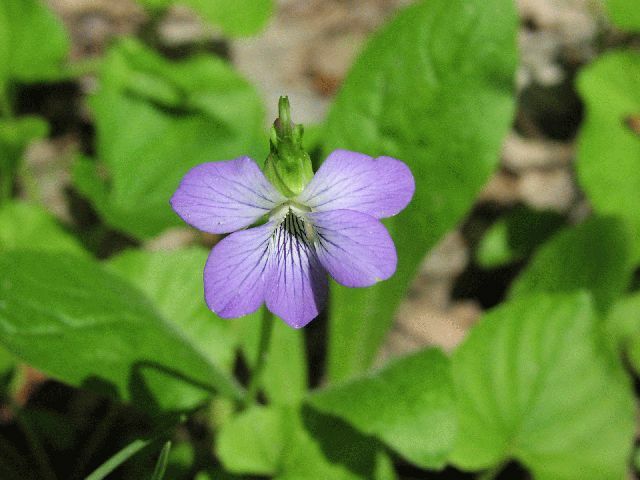 The spur on the flower of the long-spurred violet is very conspicuous. The Marsh Blue has is darker colored in the center of the flower, while Common Blue is uniform in color or slightly lighter in the center. Obviously, Marsh Blue grows in very wet areas, where the Common Blue doesn't.